There are so many different types of crochet. This is another reason I love crochet. There's so many variations and methods to try and experiment with. Some types have been around a very long time, while others are relatively new. I enjoy learning about each one I come across; what they are, how they're worked, what they're used for, and when I can, how they came to be. I've chosen to share all about them here. A complete list of all the types of crochet would be quite extensive, though. So, what I’m going to do is give you a list of the types I’ve come across most often. You'll find that many of these types of crochet are their own unique stitches, while others are created with basic crochet stitches put together in different ways. I hope you enjoy learning all about them as much as I do! Please keep in mind, though, that this page will be a constant work in progress as I learn about new types and variations and add them here. So, check back for updates or subscribe to my newsletter, Crochet-Basics Buzz, to learn what’s new. Do you know a type of crochet that you don't see here? If you have a type of crochet that you'd like to share with me, I'd love to hear about it! Your explanation will appear on a Web page exactly the way you enter it here. You can wrap a word in square brackets to make it appear bold. For example [my story] would show as my story on the Web page containing your story. How would you classify crocheting and color pooling with varigated yarns? To make things easier, I've listed the types of crochet in alphabetical order. 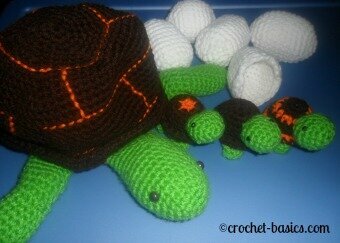 One of the types of crochet is Amigurumi. It came to us from Japan and these, adorable, crochet animals or dolls can be seen everywhere. I love the look of crochet cables and Aran Crochet is actually just another name for cable crochet. If it has crochet cables worked in, any kind of the many crochet cable stitches, then it is considered Aran Crochet. Would you like a walk-through for a crochet cable stitch? Click here. You’ll find a variety of crochet cable stitches here. Bavarian crochet (or the Bavarian square) is one of my favorite types of crochet. It has a unique pattern and is usually worked in contrasting colors. Bead crochet combines crochet and beading by adding beads right into the crochet stitches. Bosnian crochet is usually worked completely in slip stitch and could be one of the oldest types crochet out there. In broomstick lace crochet, loops are made around a dowel while working regular crochet stitches creating a beautiful pattern. When you hear Celtic crochet, you may be actually thinking of several types of crochet, because there are several variations that are all referred to by the same name. True Celtic crochet is really quite beautiful. It can be worked in a two-step process. The first piece, usually a mesh, is crocheted as a base and the second piece is weaved into the base to create specific patterns. Sometimes several pieces are crocheted and then weaved together, or weaved together while they are being crocheted. The Celtic Knot motif is created using this method. 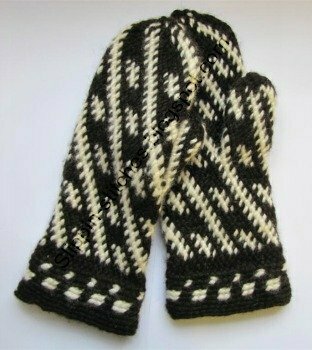 Here’s a really nice pattern by Suvi on Ravelry for a Celtic knot bracelet. There is also a Celtic weave stitch, which I think tends to be used interchangeably with Celtic crochet. If you want to check out this stitch, Maria Bittner has a great pattern to try. The Celtic Lace Join is a beautiful way to join crocheted squares into larger projects, like afghans or clothes or whatever you’re making. Cypress Textiles has a great pattern for a Celtic lace join. Cro-Hook is a variation of Tunisian crochet. The same techniques and stitches are used in both of these types of crochet. However, Cro-Hook uses a double-ended crochet hook, called a cro-hook, making it possible to work from both ends of your piece with 2 different colors. Pretty fantastic, really. Because you can use two colors at once, you can make a 2 sided fabric. That means that if 2 colors are used, one side of the fabric is pre-dominantly one color, while the other side is pre-dominantly the second color. For this reason, it’s a fun technique to use for scarves, where both sides show. It gives your project a reversible effect. It’s also great for afghans. When you have one side up, it’s one color, then flip it over and it’s a different color. Here’s a nice scarf walk-through by Darla Fanton using Cro-Hook. As you can see here, there are sometimes many names that apply to the same type of crochet. Doily crochet is one of the many beautiful types of crochet. It creates beautiful, lacy pieces, that can be used for many different projects. Filet is a type of crochet lace that is created with only double crochet and chain stitches. Finger crochet is exactly as it sounds, crochet worked on your fingers without a hook! Freeform crochet, also known as Freestyle crochet, is a combination of anything and everything crochet really. There’s also no set pattern to follow. You can start with a few stitches or a small motif and then add other stitches or pieces to it in any way you’d like. You’re basically creating your project by using the stitches and pieces you love in any way you like. Working without a pattern is why so many people love this type of crochet, but on the flipside of that, it can be very intimidating to many others. It really shouldn’t be, though, because freeform crochet allows you to combine all the stitches and techniques you love into a beautiful piece of artwork. This type of crochet is often used to make motifs and appliques, but it can also be used to create clothing, scarves, bags, anything you want. Most freeform crochet you’ll see is worked in many colors for a bright, vivid look. It can be worked in all the same color, however, for an awesome finished look. If used with the right yarn, it can bring out the different textures and make them stand out even more. Craftsy has some great tips to get you over any anxiety you may have about getting started with freeform crochet. Check them out here. Everyone loves crochet granny squares! These fun squares are used in all kinds of crochet projects. Hairpin crochet, also known as Hairpin Lace is a technique that creates loops on both sides of worked crochet stitches. This method makes strips (or braids) of lace. Then the loops on the side of the strip are crocheted or braided together creating a beautiful lace project. Originally, actual metal hairpins were used for this technique, which is how it got its name. It was very popular in the Victorian era when elegance and beauty were a sign of wealth and stature. Now, hairpin crochet is worked using a loom, usually called a hairpin lace tool or hairpin loom. The loom normally has 2 metal rods, call prongs, that are connected by plastic bars on the end. (Some have 3 rods.) There are different holes in the plastic bars so that you can adjust the size of your loops. The yarn or thread is wound around the prongs of the loom, creating the loops. Crochet stitches are then worked down the middle to hold the loops in place. This results in a strip of lace with loops on either side of the stitches. A basic strip, which most patterns use in one way or another, is made with single crochet down the middle. Once you learn this technique it’s really quite simple. Here’s a video tutorial by Bernat Yarns to get you started with a basic strip of hairpin lace. Irish crochet, simply put, is a lace style of thread crochet; but there is so much more to it than that. It dates back to the 1800’s in Ireland during the famine. This amazing technique was created when women needed a way to help support their families financially. Individuals created their own patterns and motifs and it’s said that they rarely shared them with others. This method is usually worked with very fine crochet thread, usually size 20 or smaller. So, it makes delicate, gorgeous pieces. It helped support Irish families back in the 19th century and thankfully we now get to enjoy those patterns and techniques today. It is characterized by its motifs, which are usually floral. These motifs are quite dense because they are created by working stitches around a foundation cord instead a crochet chain. It actually gives them a raised or embossed look when the fabric is finished. The motifs are then attached together by fine crochet netting or lace. The lace is often intricate and filled with delicate picots, another signature of Irish crochet. In my book, it is absolutely stunning! The motifs, the lace, the fabric it creates, I am completely in love with it all. Like many other types of crochet, the stitches and techniques used to create this beautiful lace aren’t difficult. You will want great lighting, though, and possibly some reading glasses. If you’re ready to give it a try, here’s a tutorial at Crochet Thread to get you started. Do you want some free patterns to try? Check these out at Moogly. Micro crochet is about the cutest thing you’ll ever see. It is just your usual crochet patterns worked in a super tiny form. It’s amazing! These adorable, little creations are made with embroidery thread and the smallest of crochet hooks. The exact same stitches and techniques are used here as for any crochet. They really are just micro sized. Most micro crochet is amigurumi, but it could be used for other projects, too. This method is used for doll clothes and doll house pieces, as well as just tiny pieces for decoration. I love it! This takes a lot of skill and patience to work. Having at least a little experience crocheting will help you a lot. Here are some more tips for working micro crochet from Craftsy. All the beautifully fun creations pictured here are from SuAmi. You can find more of her wonderful work at her Etsy shop, SuAmi. Overlay crochet is a beautiful new crochet technique with a vividly bold finish. Spiral crochet is similar to working in continuous rounds, usually with 2 or more colors. Tapestry crochet is a simple technique used to change colors of yarn in your project without leaving floats on the back of your work. The waffle crochet stitch uses front post double crochet stitches to create a waffle patterned fabric. Wiggly crochet is a 2-step technique that is fun for any project. 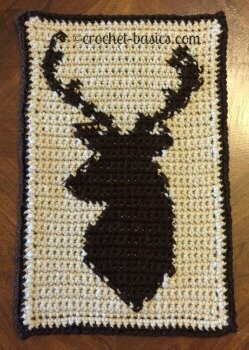 I hope you enjoy giving these types of crochet a try!